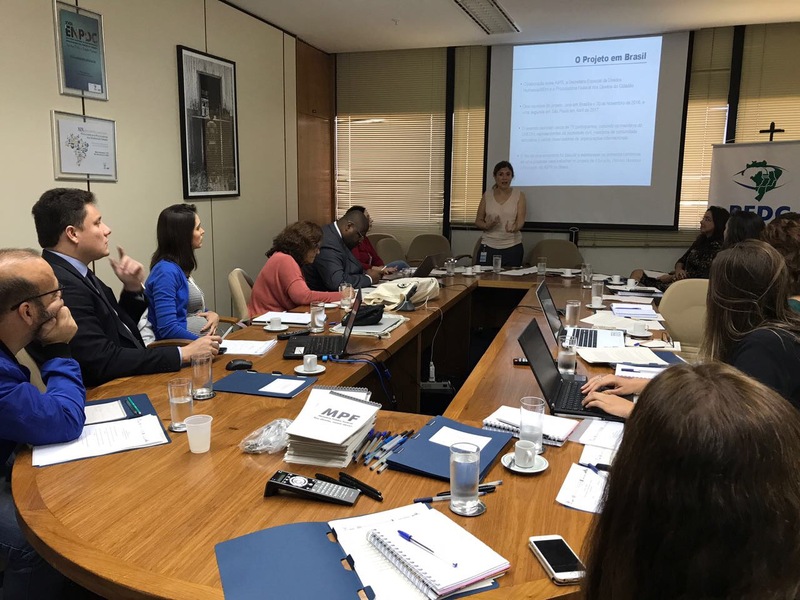 On August 28, 2017, the Auschwitz Institute for Peace and Reconciliation (AIPR) organized the first Working Group Meeting for the project entitled “Education, Human Rights and Prevention.” The event, which was held in partnership with the Special Secretariat for Human Rights of Brazil’s Ministry of Human Rights and Federal Public Prosecutor’s Office, took place at the Attorney General’s Office in Brasilia. The meeting was convened with the purpose of holding group discussions on the project proposal and undertaking a critical assessment of its objectives, implementation, and sustainability. The occasion also provided an opportunity for the establishment of a dedicated group and working environment through which the joint involvement in monitoring the process can be facilitated. This group will be comprised of approximately 15 members drawn from Brazilian NGOs working specifically with education and human rights, as well as teachers, academics, students, and a representative from the National Secretariat for the Defense of Child and Adolescent Rights of the Ministry of Human Rights and another from the Ministry of Education. The Working Group Meeting was organized as a component of the broader project entitled “Education for the Prevention of Mass Atrocities,” which, since 2016, has been conducted in Brazil by the Auschwitz Institute’s Educational Policies Program, in partnership with the Special Secretariat for Human Rights of the Ministry of Human Rights and the Federal Attorney for Citizens’ Rights – both Focal Point institutions of the Latin American Network for the Prevention of Genocide and other Mass Atrocities.AIPR is also currently developing a parallel project in El Salvador, partnering with the country’s Office of the Ombudsman and in collaboration with the Salvadoran Ministry of Education. Prior to this meeting, AIPR organized two consultation meetings for the project in Brazil. The first was held in Brasilia on November 30, 2016, with the second taking place in São Paulo on April 26, 2017. The two events brought together about 75 total participants including members of the National Committee on Human Rights Education, representatives of civil society, members of the education community, and various observers from international organizations. 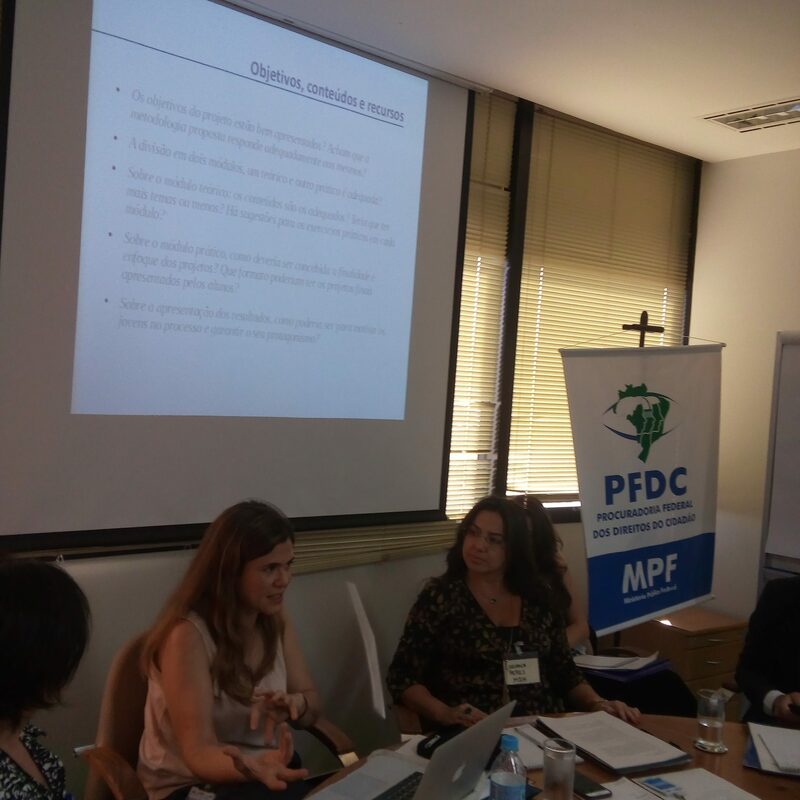 This process of consultation allowed AIPR to gather materials and information for the development of an appraisal on the state of education and prevention in Brazil. Using these results, progress was made towards the design of an educational methodology. This methodology is being specifically formulated to contribute to the creation of spaces for dialogue in schools that are based on plurality and respect, which will provide young people with opportunities to develop tools that will aid them in interpreting the world around them and instilling values ​​of respect for diversity and tolerance, within the context of a pluralistic democratic society. This space would also be conceived as the basis for future work, offering students the chance to develop work proposals related to specific issues that concern them in order to develop new knowledge, attitudes, and civic capacities as part of the overarching process. Serving as a complement to the Working Group discussions, AIPR also held a meeting with a group of students aged 15 to 18 in São Paulo. This event, held on August 12, gave the program’s organizers the opportunity to further discuss the project directly with young people in Brazilian society and gather their opinions related to the ongoing efforts. The involvement of young people in the development of the project is essential in order for the result to reflect existing needs and conform adequately to the context. In addition to sharing their impressions on the project, the students recounted relevant school experiences and reinforced the notion that they want their voices to be heard and actively included in the formulation of educational processes that involve them. The project will be conducted throughout 2018 in schools that are chosen for pilot implementation. Once the process of identifying these locations has been completed, AIPR will take the lead in coordinating with them to develop and implement the project. Among other things, this will involve the provision of training and capacity building for teachers. Following the development of the project and collection of results, an evaluation period will be enacted with the intention of analyzing the continuity of the proposal. Progress on the project in Brazil has proven to be very interesting. Despite the sizable challenges involved in working in such a large country that is as culturally and socially diverse as Brazil, through several consultation exercises we have been able to articulate a common ground from which to articulate a shared working proposal. The creation and consolidation of a highly specialized Working Group to accompany the project is a very welcome development. As the project moves forward, this group will play a fundamental role in the project’s assessment and overall learning potential.